Buy this item and earn 227 points valued at £2.27. A sextuple-wood bottling from Dalmore. 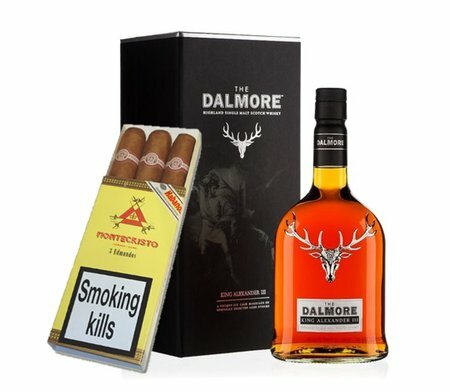 This auspiciously-named dram wasmatured in wine, Madeira, Sherry, Marsala, Kentucky bourbon and Port cask, rich and fruit whiskey with The Montecristo Edmundo features intense wooden taste, a little bitter and a lot dryer, slightly over-sweet, and over sweet that lasts leaving toasted earth, very greasy remembrances. This Cuban cigar has a magnificent wide and full shot.